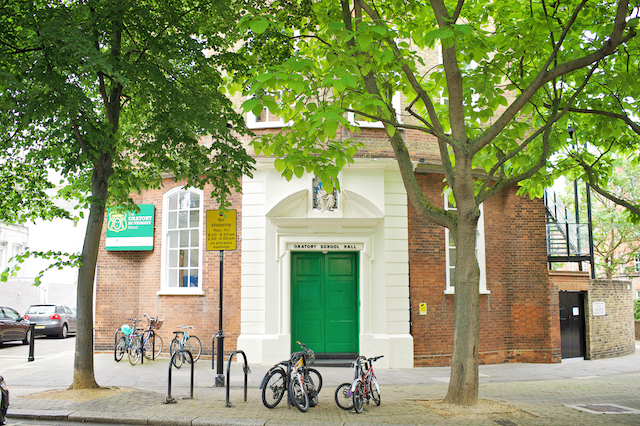 We opened 150 years ago as the first free Catholic primary school in London. The school is in the Trusteeship of the Oratory Fathers and Catholicism infuses its life, from Reception (St. Margaret Clitherow Class) to Year 6 (Blessed John Henry Newman Class). Our chaplain visits several times a week and holds regular Masses in school. First Communion and the Leavers’ Mass are two of our biggest annual events. Above all, Christ’s message is expressed in the kindness children are taught to show each other; not only in the particular importance we put on Juniors looking after Infants in our Young Leaders programme, but in everyday behaviour. This makes for a welcoming, happy school with children and families of many different kinds. Many different nationalities are represented on our school roll, and International Week is a carnival of national costumes, stories and food. There is an enthusiastic Parents’ Association, termly workshops about developments in education for parents, termly meetings for them with class teachers and a Parent Forum for parents to air any concerns. We are very proud of our academic record, and bringing the best from children of all abilities, but the Oratory Primary School is inclusive: House of the week (Red, Yellow, Green and Blue) is a focus for friendly rivalry, we work with many external professionals to support children who need some extra confidence and the many after school activities include ballet, chess, choir, yoga and lessons in many instruments. Ours may be an old building, but it hums with all that technology can offer in learning. And for a school situated across a road from the playground, we have a commendable record in sport. ‘We work together, we play together, we laugh together, we pray together’ is not an idle motto, it is the essence of our school.